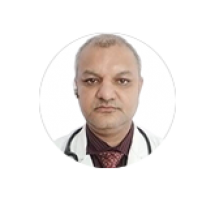 Dr. Puneet has immense experience as a Radiation Oncologist in treating all types of Cancer patients in leading centers in Delhi, India. As a Professor of Medical Oncology, he has expertise in Cancer Screening (Preventive), Blood Cancer, Breast Cancer, Cancer, Gastrointestinal Cancer, GI Cancer, Gyne Oncology, Head & Neck Cancer, Hepatobiliary Cancer, Lung cancer, Medical Oncology, Ocular Oncology, Radiation Oncology, Uro-Oncology etc. He has over 22 years of experience of satisfied patients in his field. He is the first doctor in India who has done an MD, DNB, and DM in oncology — all certified by the Medical Council of India – Dr. Gupta is also the first Indian to deliver trans-arterial chemotherapy by using an arterial electronic pump and to use latest targeted monoclonal antibody therapy for head and neck cancer. A Padmashree hopeful, Dr. Gupta has under his belt a string of awards, including Leading Scientist of the World 2004, Certificate of Merit Award, Glory of India 2007, Vijay Shree 2005, and Indira Gandhi Shromani. A member of various national and international cancer bodies, Dr. Gupta also wants to be an effective link between the drug industry and cancer patients.